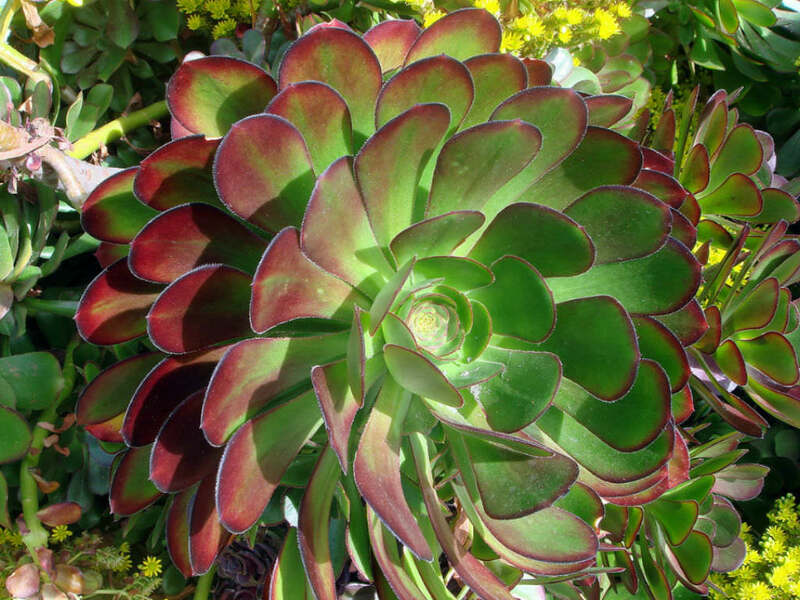 Aeonium arboreum var. atropurpureum is a striking dark-purple succulent which forms branched stems up to 3 feet (90 cm) tall. Rosettes are formed at the ends of the stems. Yellow flowers form long clusters in the summer. 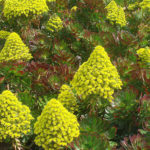 Tree Aeonium grows best in full sun during the cooler months and when grown in coastal areas. When grown inland or during the summer, provide this succulent with afternoon or partial shade. 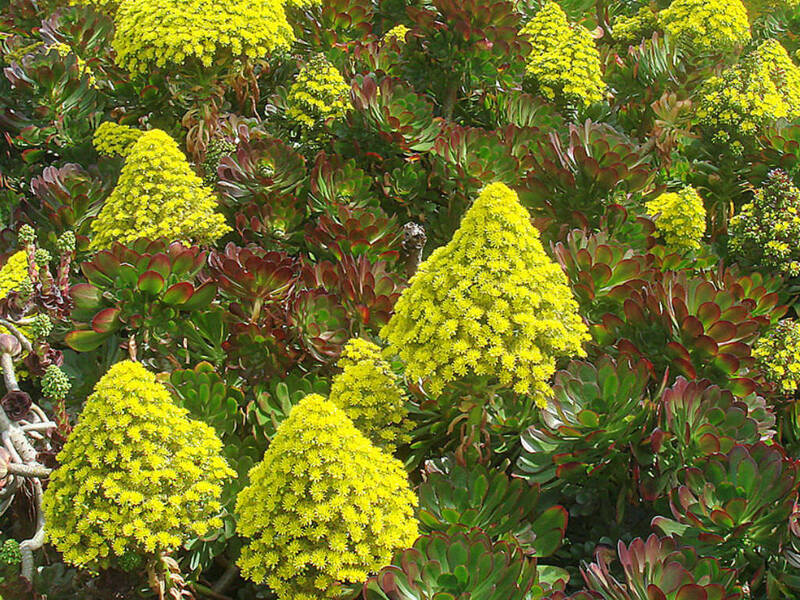 Avoid placing Tree Aeoniums in sites with western sun exposures. 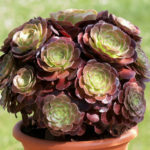 Though Tree Aeoniums tolerate a variety of soil types — as long as they’re well-drained — it prefers light, porous soil. You may want to amend your planting site with sand and limestone chips. 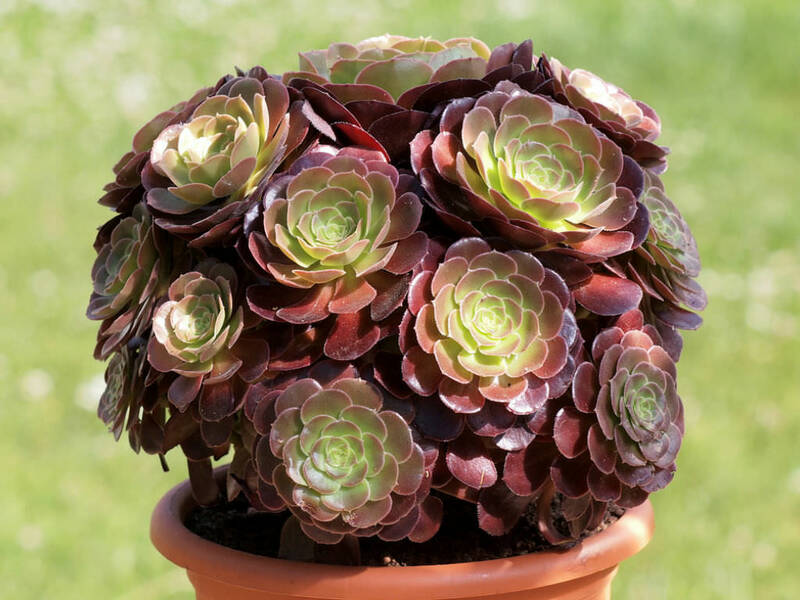 For container gardening, plant Tree Aeonium in a moderately moist medium with excellent drainage. Cultural problems can cause massive damage to Black Rose plants, including leaf loss. Soggy soil and over-watering are perhaps the most common and serious cultural issues for Black Rose plants because too much water will drown the roots and may lead to root rot, particularly during cold weather… – See more at: Why Are Leaves Falling Off My Black Rose? Native to Gran Carnaria Island in the Canary Islands.